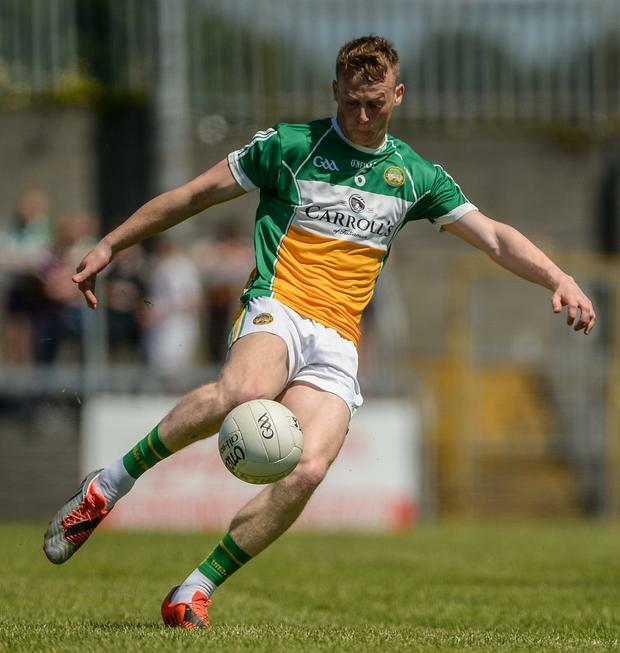 Offaly retained their Division 3 status with a win in an often ill-tempered game at Mullingar yesterday against an understrength Westmeath side who finished the match with 12 men. The visitors had much more to play for against a team already guaranteed third-tier football in 2019. Westmeath led by two early points after Anton Sullivan opened the winners' account in the 11th minute. Offaly were ahead by 0-4 to 0-3 when midfielder Peter Cunningham scored a great solo goal in the 17th minute. Stephen Wallace's troops led by five points at the end of normal time in the first-half, but Luke Loughlin caught the Offaly defenders on the hop and cleverly found the net for Westmeath from a close-range free in added-time. At the break, Offaly led by 1-8 to 1-6. Killian Daly picked up a straight red card for Colin Kelly's team less than a minute after the resumption. Offaly then looked the more likely winners. When Westmeath went on to lose both Boidu Sayeh and John Connellan to second yellow cards, there was no way back for the home side. Teenage sub Cian Johnston made the scoresheet late on for Offaly, who wrapped up the win with late points from Conor Carroll and wing-back Niall Darby. Scorers - Offaly: N Dunne 0-7 (4f), P Cunningham 1-2, B Allen 0-3 (1f), N Darby, A Sullivan 0-2 each, C Carroll, C Donohoe, M Brazil, C Johnston 0-1 each. Westmeath: L Loughlin 1-4 (1-1f), J Connellan 0-5 (2f), K Martin 0-2, G Egan (f), R O'Toole, C McCormack 0-1 each. Offaly - A Mulhall 6; D Hogan 6, P McConway 6, S Pender 6; D Dempsey 6, D Brady 5, N Darby 7; P Cunningham 8, M Brazil 7; C McNamee 6, A Sullivan 7, C Donohue 6; B Allen 7, C Carroll 6, N Dunne 7. Subs: S Doyle 6 for Brady (h-t), S Nally 6 for Pender (inj., 54), C Johnston 6 for Sullivan (67), J Hayes n/r for Brazil (67). Westmeath - K Fagan 6; M McCallon 6, K Daly 5, B Sayeh 5; R Wallace 6, J Gonoud 7, J Dolan 6; A Stone 6, D Corroon 6; L Loughlin 7, R O'Toole, A McGivney 5; J Connellan 7, C McCormack 6, T McDaniel 5. Subs: G Egan 6 for McDaniel (40), K Martin 7 for McGivney (40), D Whelan n/r for O'Toole (inj., 63), G Carr n/r for Gonoud (inj., 63). Ref - J Henry (Mayo).